We have two daily shuttle departures at 0800Hrs and 1400Hrs departing Nairobi and Arusha Moshi and Marangu Hotel and also a daily bus to Dar es Salaam simultaneously. Mode of transport is a 9 passenger shuttle bus / 25 passenger shuttle bus/ 28 passenger shuttle bus/ 40 passanger shuttle bus , which is airconditioned, well maintained, driven by competent and experienced English speaking tour drivers. Due to our experience in East Africa, Arusha luxury shuttle bus services is a well known company in the tourist shuttle scene Serving clients travelling mainly Kenya and Tanzania to do safaris. contact us. Trekking kilimanajaro also business tripes. These has made Arusha luxury shuttle bus services to be highly recommended on good services they provide such as luxury shuttle bus services. 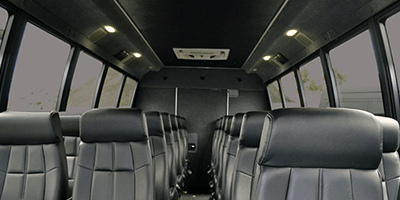 Arusha luxury shuttles & coaches is the luxury coach charter division of Unitrans Passenger. It is rated as one of the leading coach companies in East Africa with a well established portfolio of blue chip clients. Nairobi,Arusha,Moshi,Marangu, shuttle bus,luxury bus,Daily shuttle bus,private transfer,private arusha shuttle,Shuttle bus. bus service, Nairobi, Arusha, Moshi, Jomo Kenyatta Airport, Kilimanjaro International Airport,airport JKIA to arusha transfers via Namanga border. Arusha Moshi marangu luxury Shuttle bus Transfers Jkia Arusha Moshi shuttle bus. Nairobi Arusha shuttle bus, Arusha Moshi Marangu shuttle bus, Arusha Kilimanjaro Airport Bus, Private Shuttle Jkia Arusha, Jomo Kenyatta Arusha express Bus, Nairobi Airport,Nairobi Arusha Moshi Marangu shuttle bus services Airport Transfers. Jkia, transfers, to arusha, private, shuttle, bus, Shuttle Bus service, Nairobi to Moshi ,Kilimanjaro, Nairobi, Arusha, Moshi, shuttle bus daily. Kenya, Tanzania, Shuttle, Bus, Transfers, Shuttles, buses, hire services,Private Transfers daily Nairobi to Arusha also Nairobi to Moshi and Marangu hotels / Taxi services Nairobi Arusha shuttle bus,Nairobi Moshi shuttle bus. Nairobi Marangu luxury shuttle bus,Kilimanjaro airport Daily private transfer from Nairobi Jomo Kenyatta international Airport to Arusha,Nairobi Namanga Marangu. shuttle bus,shuttle nairobi contacts, private transfer from nairobi to arusha impala hotel ,private luxury transfers services by shuttle nairobi.